The Bhartiya Janata Party is making all its efforts to form an alliance with Shiv Sena in Maharashtra. On the other hand Shiv Sena has a reputation of being not easily accessible. According to sources, the eyes of Shiv Sena for the alliance are on the 1995 model. For this, they expect to get around 150 seats in the 288-seat assembly for the Lok Sabha elections, Maharashtra will demand 25-26 seats out of a total of 48 seats. 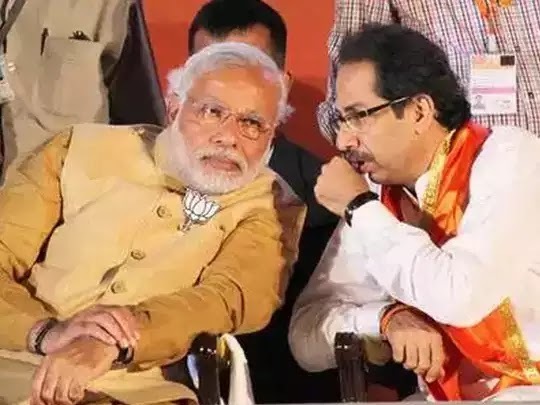 Shiv Sena's top leadership has sent a message to the BJP that the dialogue on the alliance will begin only when its model for 1995 will be formed. For the first time in 1995, there was a Shiv Sena and BJP government in Maharashtra, which was given by the Chief Minister Manohar Joshi of the leadership coalition and Shivsena was the key partner of the coalition. There is a complete package of demand in the 1995 model of Shiv Sena being talked about. Shiv Sena's senior leader Sanjay Raut said, "For the coalition, BJP will have to respect Shivsena's asmita and her elder brother's rank in Maharashtra. BJP leaders know that if they do not join the coalition, they will not win more than 10 Lok Sabha seats in Maharashtra. On Saturday, Maharashtra Chief Minister Fadnavis and party's state unit chief Raosaheb Danve had claimed that BJP will win 43 seats in the Lok Sabha on its own in Maharashtra.